Last fall, the new Mahindra Agriscience Learning Center at Pingree Farms. We had a big group of supporters show up for the fun! 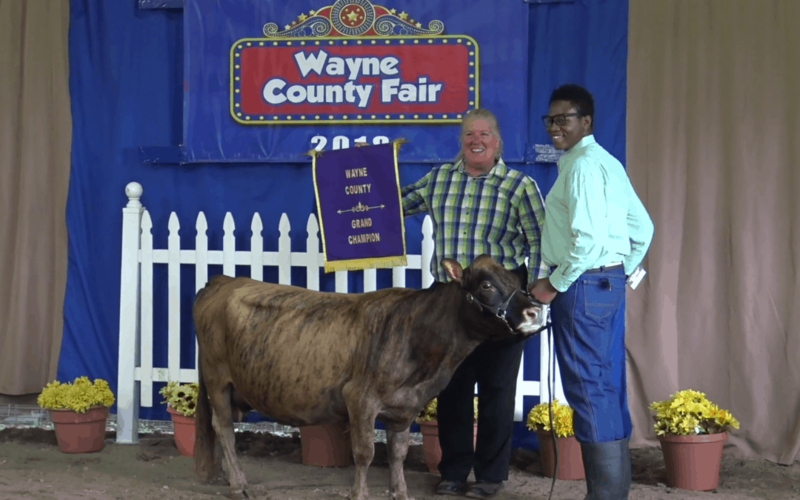 We had another great year at the 2018 Wayne County Fair. Thank you to everyone who donated to make it possible to take all these students to Fair! Pingree Farms Petting Zoo at Urbanrest Brewing Company! Holiday Goat Yoga Classes are B-A-A-A-C-K! Click On Detroit – Baby goats can kick up your yoga game! Pingree Farms Goat Yoga is over, but not forgotten! Kirby Gwen of WJLB Does Goat Yoga at Pingree! Check out this fun video of Kirby Gwen of WJLB visiting Pingree Farms to join a Goat Yoga session! Thank you WJLB and Kirby for creating this video and sharing it on your site!